Kerry joined the D&L team in August 2017. Immediately after graduating, BSc (Hons) BioPsychology, she joined Marwell Zoological Park as one of the Education Officers. Kerry established an Education and Community Department at Staunton Country Park, receiving 12,000 school visitors each year, providing 6,000 annual volunteer days for adults with learning difficulties, coordinating an Education Membership scheme with over 45 institutions and culminating in a successful Parks for People lottery application. In 2013, Kerry was promoted to the Parks Business Manager for Staunton and Queen Elizabeth Country Parks, and went on to increase this portfolio to include all Country Parks owned by Hampshire County Council. Kerry is keen to use her management skills to support and develop the Discovery and Learning department at ZSL, focusing her efforts towards her passion for conservation education. With degrees in Biology and a PGCE in Secondary Science education, Ruth has worked in informal science education for more than 10 years. Her role helps to develop and deliver the schools programme and seasonal events, and she has worked on a variety of exciting projects, including a youth engagement initiative linked to the Rio Earth Summit, and an environmental schools education programme in Zambia with Save the Rhino International. She has a particular interest in sustainability and outdoor learning, and thinks it is important that people have experiences that connect them with the natural world. She also sits on the Management Committee of the London Environmental Educators Forum (LEEF). Stephanie has a BSc in Biology and has been working in environmental education and conservation for the past nine years. Before joining ZSL, she worked on a primate conservation project in Vietnam, which included running an education programme with schools and tourists to engage with (and protect) their amazing local wildlife. At ZSL, Stephanie loves that we have the opportunity for students to apply science in a real-life context – not just in the Zoo, but also by showcasing the work that our conservationists are doing to protect and understand wildlife out in the field. Belgin’s passion for animals, conservation and learning is perfectly encompassed within her role. With a degree in Science and Psychology and a PGCE she has enjoyed teaching in formal education for fifteen years and moved into informal education when she became a learning volunteer at ZSL’s Education department. She loves having the opportunity to enthuse students to learn and apply knowledge in such a unique setting whilst understanding how they can make a positive impact on the natural world. She is currently studying online with the United for Wildlife community widening her knowledge about conservation issues. Ultimately, Belgin hopes to inspire students to become part of ZSL’s mission to promote and achieve the worldwide conservation of animals and their habitats. Heather studied astrophysics at university before moving to London to pursue a career in science communication. She spent 6 years working in London museums, delivering science events for a range of audiences, nationally and internationally. Wildlife has always been a passion for Heather, and she is thrilled to be a part of the education team at ZSL London Zoo. When she’s not peering through her telescope, Heather enjoys birdwatching and hunting for spiders in her back garden. A year spent working on conservation programmes in Australia inspired Sarah to work towards a career which combined her love of nature with her enthusiasm for education. With a BA in Primary Education, she has six years teaching in formal and informal education sectors. She is currently working on completing an MSc Education for Sustainability. Sarah feels very fortunate to be involved in zoo education; with the setting providing fantastic opportunities to fuel a love of wildlife and the natural world through educational experiences. 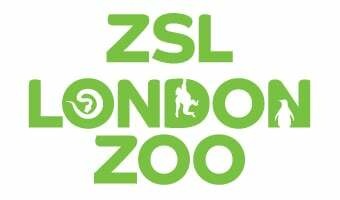 Ann has worked at ZSL London Zoo for over 15 years and works closely with all school groups that visit us. Each day she meets and greets schools and answers any questions they may have to help them have a great day. She loves watching the expressions and excitement on the children’s faces as they enter into the zoo. She works very closely with the Discovery & Learning officer and is passionate about helping the Discovery & Learning inclusion officer support projects developing activity for learners with special educational needs and disabilities. Alison has worked with children, in an educational setting, for the past 13 years while raising her own two. She has always had a passion for animals and their welfare and is thrilled to have the opportunity to share this with young people coming into the zoo. The best part of her job is listening to the children say how brave they were touching a snake or a cockroach and that visiting the zoo has changed how they think and feel about wildlife. Cassandra has a BA in Archaeology and Ancient History and has always been interested in studying societies and the variety of relationships we form. She joined ZSL in 2012 in the new role as evaluation coordinator and has since had the opportunity to work across the society encouraging evaluative practice throughout. She has always championed the value of informal learning and loves the opportunity to be able to begin to evidence through her work. She supports the department to use student and teacher feedback to shape everything we do, which enables us to be reflective and forward thinking in our approach to learning. With a BSc in Ecology and Environmental Biology and an MSc in Science Communication, Charlotte has more than ten years’ experience of working with schools, the public and scientists. She previously worked as a science communicator at the Natural History Museum and is a qualified field guide for Southern Africa. She is passionate about developing and supporting new opportunities for ZSL researchers and conservationists - giving them the opportunity to directly engage with our visitors and school groups, and reveal what goes on behind the scenes at ZSL. Clementine has worked at ZSL London Zoo in a variety of roles. Originally from Australia, she previously worked in the events industry perfecting her organisation and planning skills. The best part of her job is being able to work alongside a team of people who are passionate about conservation and wildlife. She enjoys spending time with the Discovery & Learning rats, who have completely transformed her view of rodents. Before joining ZSL, James spent five years in South Asia developing and managing community partnerships, to support the delivery of international Service-Learning programs for a Canadian non-profit. His role with ZSL is the ideal opportunity to apply his experience with, and passion for, community, education and the natural world, back home in the UK. Outside of the Zoo, James spends his time working at a music education start up and plotting travels to the Himalayas or other mountain ranges, his favourite natural environment. Emma has worked in the voluntary and public sectors in Camden for the past 15 years. She worked with young children and their families, young people and older people ensuring that they were able to access opportunities in their community. Emma is a passionate about animals and wildlife. She believes it is important for everyone to be able to be around animals and appreciate them and their habitats, especially in the city where there appears to be less opportunity. Therefore, Emma is excited to by her role, as it gives her the chance to make it more accessible to the local community. We bring the zoo to you with our Digital Outreach sessions!